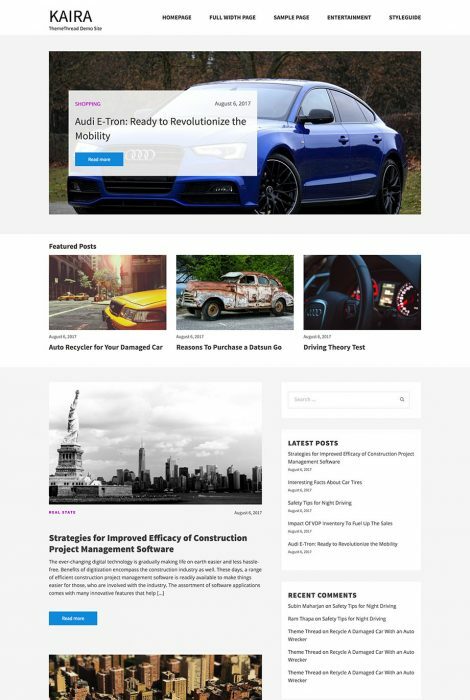 Kaira is a free WordPress theme designed and developed by ThemeThread. Kaira is a minimalistic blogging theme focussed on low volume based blogs or websites. Though minimal, Kaira provides many theme options and can be proper theme to start your blogging journey. 3 Installation and Activation of the Kaira. Before getting started, be sure about the compatibility of the theme with your current WordPress version. Kaira is compatible with WordPress version 4.7 or higher. So, it is advised to use latest version of WordPress for best experience, added features, and updated security patches. Next, we will be now going through installing Kaira into your WordPress. Installation and Activation of the Kaira. You can also install Kaira theme via searching in WordPress and installing it. Unzip “stacked.zip” file on your computer. Upload the un-zipped stacked.zip folder into the: wp-content/themes folder. Goto Appearance->Themes and find the recently uploaded Kaira Theme. Kaira is now activated as current theme and can be customized as user wants. To import from a WordPress export file into your blog follow these steps. Upload the demo content .xml using the form provided on that page. Customizer is a feature provided by WordPress to allow users to change the outlook of the theme. To access customizer, you need to access WordPress Dashboard and goto Appearance and Customize. 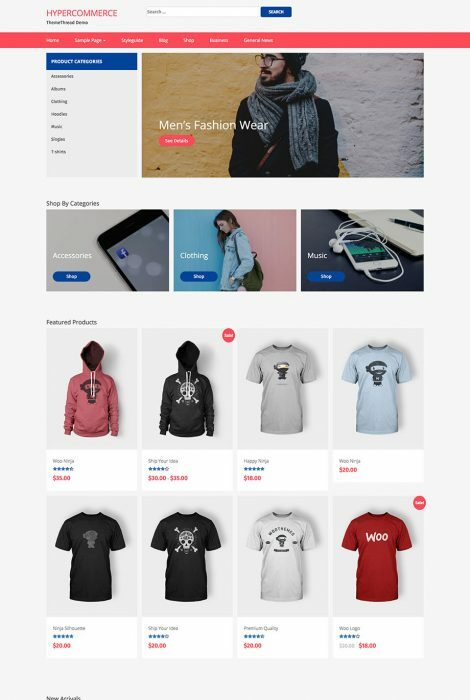 You will get the customizer panel alongside the homepage view of the theme. One of the basic functionalities of WordPress Customizer which is basically used to change background color and header color of site. However, in Kaira, users are given options to change the color of title link, navigation menu and category link. You can change your Site Color by following these steps. Click on Colors section of Customizer. Change Header Color, Background Color, Nav Menu Link Color, Button Color, Category Link Color. Once you are done, Click on Save and Publish button. Theme Options is the custom panel given by this theme to its user. It comprises different sections in order to customize theme. Click on Header Fonts section of Theme Options Panel. Choose the suitable header fonts from the options. Click on Save and Publish button to save your changes. Click on Body Fonts section of Theme Options Panel. 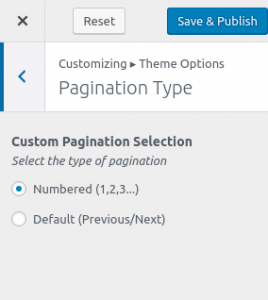 Click on Pagination Options section of Theme Options Panel. 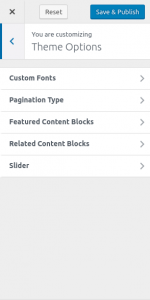 Choose the pagination type . 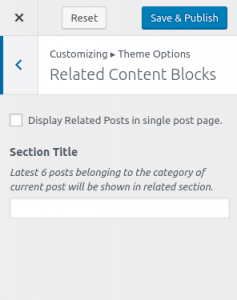 Click on Featured Content Blocks. Click on Related Content Blocks. Give Related Content its title (if you want to). 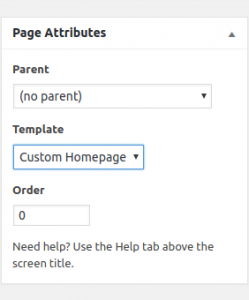 Create a Page and select ‘Template-FrontPage’ from the Page Template drop down. 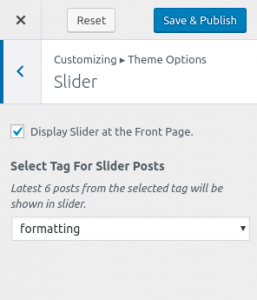 Enable Slider from Customizer -> Theme Options->Slider.